Gates calls prioritsing worldwide internet access "a joke"
Bill Gates has spoken out in an exclusive interview calling the idea of prioritising providing worldwide internet access over curing malaria "a joke"
During an exclusive interview with the Financial Times, Bill Gates co-founder of Microsoft has labelled the idea of prioritsing giving the world internet access over finding a cure for malaria "a joke". Gates stated, "I certainly love the IT thing, but when we want to improve lives, you've got to deal with more basic things like child survival, child nutrition." Bill Gates set up the Bill & Melinda Gates Foundation back in 1997 with his wife where he has devoted his time since leaving Microsoft. The Foundation reportedly gives away nearly $4 billion a year to help improve health and fight poverty in developing countries around the globe. 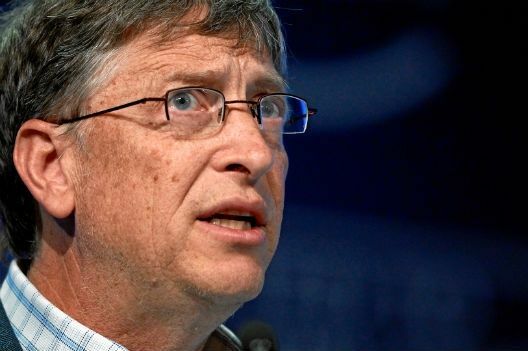 In an interview on CBS earlier this year Gates demonstrated advances in vaccine storage and transport. Gates also stated during his FT interview that, "The world is not flat and PCs are not, in the hieracrchy of human needs, in the first five rungs." Although Gates speaks of his full-time philanthropy work, he's also still a chairman and member of the committee working to search for a replacement for current CEO Steve Ballmer following the announcement back in August that Ballmer will be retiring within 12 months. Earlier this year Bill Gates took to the website reddit in a live Q&A where he gave his views on current tech trends and more.